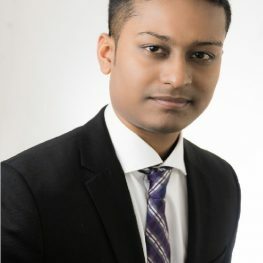 Juel Chowdhury began his professional education at the Gulf Medical University where he received his Bachelor of Medicine and Bachelor of Surgery. Since then, he has worked for several major universities like University of Illinois in Chicago and scientific journals all of which have contributed to his scientific findings and research. His works have led him to exchange scientific ideas with Nobel laureate Dr. Fred Murad and many well-known scientists such as Dr. Robert Winn Director of UI health, Dr. Stanford Clark, Dean of College of dentistry, UIC, Dr. John Minna. Dr. Chowdhury is the founder and president of Oncomarks.org an online professional network with a open access journal for the oncologist. His innovative iGenX lab is a genetical research lab based on data-mining and data analysis of the gene-chip experiment. Editorial and Reviewer Board for many international journals like Tumor Biology, JCMT. JUMD, and many professional societies like ASCO and ISOBM. He was the director of ISOBM (international society of oncology and biomarkers) 2016 congress held in Chicago and also the upcoming ISOBM 2017 congress in Brazil. His is also certified in Botulinum Toxin and Dermal Fillers and hair transplant procedures. Current faculty member of National College of Health. Dr. Chowdhury’s research interests are as follows: head & neck cancer, lung & upper aero digestive tumors, labyrithin biology in human tumors, lasers and PDT, and human tumor stem cells. Nitric oxide in tumor environment.